Royal Ascot is set for its 2016 renewal and five days of high class sport will see some of the best horse racing of the calendar so far. With a history dating way back to 1711, this is as much a social occasion as it is a sporting event but for the serious punter, it’s one of the highlights of the year. Tuesday June 14 starts things off this year with the Coventry Stakes but the excitement really begins with the first Group One of the meeting – the Queen Anne Stakes – that follows. The American Thoroughbred, Tepin, is listed to start as favourite for this one and having taken out the Breeders Cup Mile in 2015, it’s no surprise to see a lot of interest in the Mark Casse trained five year old. There are six races on the Tuesday card and a further two Group One events in the Kings Stand Stakes and the prestigious St James’s Palace Stakes which rounds off the day. The Gurkha is a very short priced jolly for the latter with the three year old having won last time out at Deauville. Wednesday’s action kicks off with the Sandringham Handicap followed by a further five races on a busy card. There is only one Group One event today – the Prince of Wales’s Stakes – but there is plenty of excitement around this and the additional five renewals. This looks to be a very open field with the favourite A Shin Hikari listed at around 3.00 at the time of writing. That may surprise some punters however, as this impressive Japanese horse romped home at the Prix d'Ispahan by an incredible ten lengths in May. Wednesday also offers the Group Two Queen Mary Stakes and the Duke of Cambridge Stakes with the latter bringing the curtain down on another top class afternoon. Thursday is Ladies Day at Royal Ascot with the Group Two Ribblesdale Stakes getting things underway. Once again there is just the one Group One on the card but they don’t get much bigger than the Ascot Gold Cup which is the highlight of the meeting for many racegoers. The betting for this one shows Irish four year old Order of St George way ahead at around the 2.75 mark with its closest challengers out at 9.00. That’s not a great shock considering that the Aidan O’Brien trained colt has won all of its last four outings – most recently at Leopardstown at the start of June. Ladies Day is the biggest in terms of the social side of Royal Ascot but there is a serious card in store that includes the Group Two Norfolk Stakes sprint over 5 furlongs. Friday’s action kicks off with a classic Group One in the shape of the Coronation Stakes. A tight field is expected for this one with Ballydoyle and Nemoralia listed as joint favourites in some areas out of an initial declaration of some 27 runners. As the market suggests, the two horses are very evenly matched: Ballydoyle is a three year old filly from the Aidan O’Brien stable once again and her record includes three wins from her last five with two second places thrown in. Nemoralia is crossing over from the USA and after a five month spell, she warmed up nicely for Ascot as she took out her most recent race in York last month. That could be the most hotly contested Group One of Royal Ascot but once again this is a full day’s card with the King Edward VII stakes among the most prestigious Group Twos on the circuit. A six furlong Group One sprint starts Saturday’s card and it’s another tight market in store with Magical Memory and The Tin Man both heading the betting with the majority of outlets. For many, Saturday’s schedule is something of an anti-climax but there is plenty to enjoy here with six races including the Group Two Hardwicke Stakes. Five days of glorious action are in store and as we’ve seen, there are some fascinating renewals in prospect. 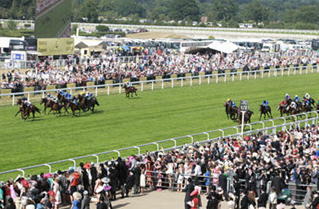 Whether you’re here for the racing or the social side of Royal Ascot, it’s a meeting not to be missed.